Many individuals, from all walks of life, have a sweet tooth. How many of you have found yourselves gazing at sweets and chocolate adverts on public transport? It can be confusing to know where you stand with these types of food as an individual with diabetes. It’s not like there is an on/off switch for a sweet tooth. At least not for me anyway. I’m sure most of you are aware of sweeteners and their role in replacing refined sugars. The various types include natural, plant-based, sugar alcohols, and artificial sweeteners. 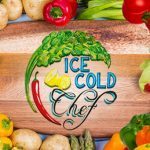 Most of you have likely tried some form of a sweetener in products such as Diet Coke, but have you transitioned your cooking methods to use a sweetener in replace of sugar? If not, and you aren’t quite sure where to start, then this guide is for you. If you have started, but like me would like to know a bit more about the sweeteners that you are using, then this guide is also for you. We shall explore natural sweeteners, plant-based sweeteners, sugar alcohols, and briefly touch on artificial sweeteners so you can make an informed decision about which one is right for you. I have written this guide with a purpose in mind, to keep our blood glucose levels controlled. For me, there is no point in using a sweetener if it is just going to spike my blood glucose levels. So, from this standpoint, I may be a little biased. But I will include all details so that you can form your own opinion. Natural sweeteners are products that are in their natural form, have not been modified and contain some nutritional benefit. Although natural sweeteners tend to be high in carbohydrates, they often include fibre and antioxidants which refined sugar does not contain. These can be used to replace refined sugar in baking and cooking, but it is important to be aware of the carb content of these natural sweeteners. Raw honey is a sweet and syrupy liquid produced by bees and some insects. Honey is considered “raw” when it is left unchanged from the beehive or has not been heated above a certain temperature after being extracted, settled or strained. Raw honey has a different texture to most commercial honey. It is less runny, has a smooth and creamy texture, and can be paler in colour. Raw honey can be used to substitute sugar in cooking and baking. To do this, you use ¼ to ⅓ of the amount required for sugar, in honey. For example, if a recipe required 200g of sugar, you would replace this with 50/66g of honey. There are a few things to be mindful of when using honey in cooking. One thing to consider is the different consistencies of honey, a liquid form or a thicker paste. Another thing to consider is the moisture that honey adds to a recipe. You may need to reduce other wet ingredients, such as cream, milk or water to even out the texture. One of the benefits of raw honey is the nutritional value it provides. Raw honey contains vitamins such as B6, riboflavin, thiamin, niacin, pantothenic acid and, certain amino acids. It is also a source of minerals such as calcium, copper, iron, magnesium, manganese, phosphorus, potassium, sodium and zinc. Raw honey is rich in antioxidants, phenolic acids, and flavonoids. Although honey is natural and has numerous nutrients, it is still high in carbs. If too much is consumed it can spike your blood glucose levels. Per 100g, honey contains 82g of carbs. Depending on the type of honey, the glycaemic index ranges from 45 to 64 which is considered intermediate. Dates can be used in several forms to replace sugar. You can use date sugar, raw dates, or a homemade date syrup. Date sugar is created from dehydrated dates grounded into a sugar-like consistency. It has a similar appearance to brown sugar and a sweet, butterscotch-like flavour. Date sugar doesn’t dissolve as well as sugar and may leave a gritty texture. Date sugar has around 83g of carbs per 100g. Raw dates are high in fibre, sticky and can be blended with other ingredients to bind biscuits or bars. Raw dates can also be blended into a caramel or used as a sweetener in smoothies or baking recipes. Raw dates have 75g of carbs per 100g. Another way to use dates is by creating a syrup out of them. Date syrup involves boiling the dates and reducing the liquid until it is a similar consistency to honey. Similar to honey, less date syrup is needed in comparison to sugar. For example, if a recipe required 200g of sugar, you would substitute this for 133g of date syrup. As with most liquid/wet sweeteners, you may need to reduce the other wet ingredients to even out the texture. Per 100g, there is 85g of carbs in date syrup. One of the benefits of using dates as a sweetener is the nutritional value it provides. Dates are a source of B1, B2, B3, B5, A1 and C, proteins, dietary fibre, iron, potassium, calcium, manganese, copper, and magnesium. Dates have an intermediate glycaemic index of 43-53. The fibre content in dates help to slow the breakdown of glucose. Regardless, there is still a considerable amount of carbs in dates and may cause a spike in blood glucose levels. Coconut sugar is made from the nectar found in coconut flower buds. The flower buds are opened and the sap is extracted. The sap is then boiled down into light brown coloured granules. Coconut sugar is similar in appearance and texture to brown sugar. Coconut sugar contains some vitamins and minerals in comparison to refined sugar. It contains calcium, copper, iron, magnesium, phosphorous, potassium, vitamin C, and zinc. Coconut sugar also contains small amounts of polyphenols, flavonoids, anthocyanidin, and antioxidants. To replace white sugar with coconut sugar, the ratio is 1:1 meaning that you use the same amount of coconut sugar as you would with white sugar. There is conflict on what the accurate glycemic index is for coconut sugar. One report from the Philippines Food and Nutrition Institute calculated the index as 35, which is considered low and theoretically should not have much of an effect on blood glucose levels. However, another study conducted by the University of Sydney reported a glycemic index of 54, which is considered intermediate and only a small amount lower than regular refined sugar. Considering there are 94g of carbs per 100g in coconut sugar, my personal opinion is that the glycemic index must be closer to 54. I have tried using coconut sugar in baking and, personally for me, it caused a spike in my blood glucose levels. So much so I had to go for a walk to bring my blood glucose levels back down to a normal level. This may not be everyone’s experience of coconut sugar, however, if you do try coconut sugar I recommend taking caution and checking your blood glucose levels 1-2 hours after consuming it. Maple syrup is made from sap harvested from maple woods. The sap is then boiled down into a sweet, dark coloured syrup. To use maple syrup in place of sugar in baking, for every 100g of sugar you would use 75g of maple syrup. When replacing sugar with maple syrup, you may need to reduce the amount of wet ingredients you use in the recipe to even out the texture. It is worth noting that due to the dark colouring of maple syrup, using it as a sweetener will darken any baked foods and can cause them to brown quicker. In comparison to refined sugar, maple syrup contains some of the important minerals and antioxidants we need in our diet. These include calcium, iron, manganese, magnesium, potassium and several forms of antioxidants. Maple syrup has 67g of carbs per 100g and has a glycemic index of 54, which is considered intermediate and may cause a spike in blood glucose levels. Blackstrap molasses is produced from sugar cane and goes through two stages to obtain the syrup-like consistency. In the first stage, the juice is withdrawn from the sugar cane. In the second stage, sugar is extracted from the juice. The remains of the juice are what creates the blackstrap molasses. In order to obtain the same level of sweetness as sugar, recipes will require more blackstrap molasses. To replace sugar in a recipe that requires 100g of sugar, you will need to add 133g (1/3 extra) of blackstrap molasses and reduce the quantity of wet ingredients in the recipe by 1/3. Blackstrap molasses contain relatively high levels of vitamin B6, manganese, magnesium, potassium, iron and selenium. It is also a source of pantothenic acid, niacin, thiamine, copper, calcium, and phosphorus. Blackstrap molasses contains 65g of carbs per 100g and has a glycemic index of 55, this is classed as intermediate and may spike blood glucose levels. Bananas are another natural option to choose when replacing sugar. They can replace sugar on a 1:1 ratio. For every 100g of sugar, you use 100g of mashed banana. However, as with all moist natural sweeteners, you need to reduce some of the other liquid ingredients to balance out the moisture. The great thing about bananas is that they contain several vitamins and minerals. These include potassium, vitamin B6, vitamin C, potassium, calcium, manganese, magnesium, iron, folate, niacin, riboflavin, and fibre. Per 100g, bananas have 23g of carbs. A ripe banana has a glycemic index of 51, which is considered intermediate and may cause a spike in blood glucose levels. Based on the fact that natural sweeteners contain some nutritional benefit in comparison to sugar, which contains none, and that the GI index of most natural sweeteners are lower than sugar, it can be hard to see a reason why you shouldn’t use these to substitute sugar. While natural sweeteners can provide benefits such as the nutritional content, they can also cause a spike in blood glucose levels, especially when using larger quantities in recipes. Which Natural Sweetener Is Best To Choose? That said, I don’t think natural sweeteners should be completely ruled out. You may find that you don’t need to use large quantities or you can pair it with other sweeteners (such as plant-based or sugar alcohols). This way, you will reduce the number of carbs and keep the same level of sweetness as sugar. Based on what contains the lowest carbs per 100g, I would choose banana (23g carbs), blackstrap molasses (65g carbs), or dates (75g). It’s best to pick the natural sweeteners that contain fibre. For example, per 100g, dates contain 75g carbs and 8g of fibre. Many individuals subtract the amount of fibre from the total carbs to calculate the net carbs. This is due to the fact that fibre can slow the breakdown of glucose. Plant based sweeteners are derived from plants such as stevia, monk fruit, and chicory root. These sweeteners have a low glycemic index and usually do not cause an effect on blood glucose levels. They contain very little to zero calories, and, unlike sugar, does not cause tooth decay. Stevia is made from the leaves of the plant named Stevia Rebaudian and can come in a powdered or liquid form. In South America, the native Guarani peoples have used the plant’s leaves as a sweetener for more than 1500 years! It has been widely used in Japan for decades and approved by the European Union since 2011. There are three different types of stevia; green leaf stevia, stevia extracts, and processed stevia or Truvia. The least processed is the green leaf stevia. Green leaf stevia is made when the leaves from the plant are dried and ground into a powder. This is not as sweet as other stevia products, but it is still 30-40% sweeter than sugar. It is green in colour and has a powdery texture. Stevia extracts are formed by extracting from the sweeter part of the stevia leaf and is 200% sweeter than sugar. Processed stevia or Truvia is up to 400% sweeter than sugar. This is made by mixing extracts from the stevia leaf with chemical solvents and GMO products. It looks and feels similar to sugar. As stevia can be between 200-400% sweeter than sugar, far less is required when using it for cooking or baking. For example, a recipe that requires one tablespoon of sugar would only need 1/32 of a teaspoon of granulated stevia. Always read the packaging of the stevia product you are using, as the conversion ratio may differ. Stevia is well known for having a bitter and liquorice-tasting aftertaste. The chemical compounds in stevia interact with both our sweet and bitter receptors. For this reason, another sweetener is often added to stevia to counteract the bitter aftertaste. One of the benefits of using stevia is that it contains zero calories and has a glycemic index of zero, meaning it should not affect blood glucose levels. One disadvantage of stevia is that it contains a compound called stevioside. Stevioside may irritate your stomach or cause other digestive issues such as bloating and a decreased appetite. Monk fruit sweetener is made from monk fruit extract and may be mixed with other sweeteners to obtain the desired level of sweetness. The fruit, in its whole form, is green and looks similar to a melon. Typically grown in Southeast Asia and was first used in the 13th century by Buddhist monks. Fresh monk fruit does not store well and tends to rot quickly, so it is usually dried and is often used to make medicinal teas. The extract is 150-200% sweeter than sugar. Monk fruit is reported to have a pleasant taste with little to no aftertaste. It comes in granulated form, similar to the texture of sugar. Monk fruit sweetener contains zero calories, zero carbohydrates, and zero fat. It has a GI index of zero, which should also have little to no effect on blood glucose levels. There are no reported side effects or reactions from consuming monk fruit extract. Monk fruit sweeteners can often include additives such as erythritol, dextrose, molasses or inulin fibre. It is important to check the additional ingredients as it may contain sweeteners that spike blood glucose levels or cause stomach irritation. One disadvantage of monk fruit sweetener is that it is expensive and hard to find. It is especially hard to find one that is not mixed with other sweeteners. Chicory root fibre is extracted from the chicory root plant. When the fibre of the plant is extracted, a sweet powder is produced. Other parts of the plant can be extracted to create a bitter drink similar to coffee but without the caffeine. The texture of the chicory root powder is light and fluffy. It has a light sweet flavour and is said to be around 35-40% as sweet as sugar. For this reason, many brands mix chicory root fibre with other sweeteners such as sugar alcohols to match the sweetness of refined sugar. Chicory root fibre contains half the calories of sugar; one chicory root has 43 calories. Pure chicory root fibre contains B vitamins, soluble fibre, manganese, phosphorous, potassium, iron, magnesium and calcium and has a glycemic index of almost zero. As well as a low GI index, chicory root contains only 8.5g of carbs and 6.7g of fibre per 100g which is unlikely to cause a spike in blood glucose or insulin levels. Chicory root fibre contains inulin, which acts as a prebiotic and can help maintain healthy gut bacteria as well as prevent constipation. However, consuming too much inulin can cause gas, bloating, nausea, flatulence, inconsistent bowel movements, and stomach noises. Chicory can also cause a reaction in individuals allergic to ragweed pollen or related plants. The main disadvantage of using plant-based sweeteners is the irritation it can cause to your stomach, especially when consumed in larger quantities. For many individuals, this can be a deal breaker and put them off using these type of sweeteners. I for one have been a victim of these issues after consuming a product with too much stevia in. Another disadvantage is that some plant-based sweeteners contain a bitter aftertaste, although this has mainly been reported when using stevia. Not everyone will experience this either and I must admit I have never noticed a bitter aftertaste. Which Plant Based Sweetener Is Best To Choose? As these sweeteners are unlikely to spike your glucose levels, I would suggest trying them all. If you find plant-based sweeteners tend to cause digestive issues, it might be worth trying monk fruit sweetener. I have recently purchased this myself and will be trying a few recipes with it soon. If the bitter aftertaste is an issue for you, it might be worth combining these sweeteners with sugar alcohols such as erythritol or natural sweeteners. If you pair with natural sweeteners, keep an eye on the total carb amount. Sugar alcohols are a type of carbohydrate made up of sugar and alcohol molecules. They can occur naturally in some fruits and vegetables. Sugar alcohols have a low glycemic index and are unlikely to cause a spike in blood glucose levels. For this reason, they are a great alternative to sugar. However, some individuals do experience an effect on blood glucose levels, so it is important to test after consuming them. The alcohol molecules in sugar alcohols don’t include ethanol, the component in alcohol that makes you intoxicated. Our bodies are generally unable to digest sugar alcohols. As a result, the sugar alcohols end up in our large intestine where fermentation can occur. When this happens, individuals may experience digestive issues such as bloating or diarrhea. Unlike sugar, sugar alcohols do not cause tooth decay and have even been reported to be protective of teeth. Xylitol is extracted from trees such as birch or made through an industrial process which creates xylitol from a plant fiber called xylan. It looks and tastes similar to sugar. Some individuals find it has a slightly minty flavour, which makes it a popular ingredient in chewing gum and mints. Xylitol contains 40% fewer calories than sugar. It is as sweet as sugar and can be used as a 1:1 replacement for sugar in baking and cooking. A few things to note about xylitol, it is highly toxic to dogs and can cause digestive issues, especially when consumed in large amounts. Erythritol is made by fermenting the natural sugars in cornstarch. It has a similar texture and taste to sugar. However, it can cause a cooling/tingly sensation, particularly when consumed in large quantities. Erythritol contains 94% fewer calories than sugar and is 70% as sweet as sugar. You can use this as a 1:3 replacement to sugar. Although, many individuals use it as a 1:1 replacement without noticing a difference in sweetness. This is the least likely of the sugar alcohols to cause digestive issues as most of the erythritol gets absorbed into the bloodstream and excreted unchanged in our urine. As a result, it rarely reaches the large intestine, which is where other sugar alcohols can cause digestive issues. Erythritol is also well reported to cause next to no effect on blood glucose levels. Sorbitol is made from corn syrup, but can also be found in fruits such as pears, apples, and prunes. It is smooth in texture with a sweet, cool and pleasant taste. Sorbitol has 40% fewer calories than sugar, is 60% as sweet as sugar and can be used as a 1:6 replacement for sugar. Many report no effect on blood glucose levels when consuming sorbitol. A few things to note about sorbitol, it is not well absorbed by our bodies and therefore can cause significant digestive issues which include gas and bloating. Maltitol is found in some fruits and vegetables and can be processed by adding hydrogen to sugar maltose (found in starchy foods such as potatoes, corn, and wheat). As with many of the sugar alcohols, maltitol has a similar taste and texture to sugar. It contains 50% fewer calories than sugar and is 90% as sweet as sugar and can be used as a 1:1 replacement for sugar. Be mindful when consuming maltitol as it is often well absorbed by our body. As a result, it can cause a spike in blood glucose levels. Check products that are labeled ‘sugar-free’ and, if possible, avoid products containing this sugar alcohol. If you do choose to consume products with maltitol in, you should check your blood glucose levels in case of a spike. Other sugar alcohols include isomalt, lactitol, mannitol, and hydrogenated starch hydrolysates. While there are many advantages of using sugar alcohols, such as having fewer calories, generally causing no effect on blood glucose levels and being protective against tooth decay, there are a few disadvantages. These disadvantages may include digestive issues, especially when consumed in large amounts. Most sugar alcohols are indigestible and as a result, end up in the large intestine. The gut bacteria in the large intestine metabolises the sugar alcohols and can cause bloating and diarrhea. When a large number of sugar alcohols ferment in the large intestine, this can cause water retention which leads to diarrhea. If you suffer from IBS or have a sensitivity to high FODMAP foods, then you should avoid sugar alcohols. Sorbitol and maltitol are reported as the most likely to cause these digestive issues, whereas erythritol is least likely to cause any issues. Which Sugar Alcohol Is Best To Choose? Many individuals prefer erythritol, which is also one of my favourite sweeteners. It is well documented to have next to no effect on blood glucose levels. Of all the sugar alcohols, erythritol is the least likely to cause digestive issues. It is good for teeth, is not toxic to dogs and has very few calories. 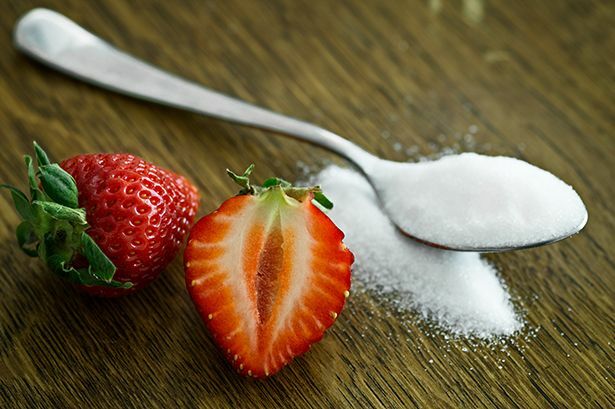 There are various types of artificial sweeteners these include; saccharin, aspartame, acesulfame potassium or ace-K, sucralose, advantame, and neotame. These types of sweeteners are made through a chemical process and are commonly found in everyday products such as diet products or beverages such as diet coke. Artificial sweeteners hold the benefit of next to no impact on our blood glucose levels, but many studies suggest they may come with some risk. As with most processed foods, they are linked to chronic diseases and cancer. Now you know about the different types of sweeteners available, you should be able to make an informed decision about which type is best for you. As we all can react differently to sweeteners it is important to experiment and find the right one or combination for you. For example, I have been experiencing the digestive issues with some of the sweeteners. I have also found that when I use more than 2-3 tbsp of erythritol I experience the cooling sensation which I find off-putting. This frustrated me as I love the taste of erythritol and the fact that it doesn’t cause me digestive issues. Because of this frustration, it led me to do the research for this post you are reading. Going forward, I am going to experiment with combining sweeteners until I find the right combination that matches my taste buds and doesn’t irritate my stomach or spike my sugars. I am thinking of experimenting with natural sweeteners such as banana or blackstrap molasses and pairing them with monk fruit or erythritol in recipes. What is your favourite sweetener? Have you found a combination that works for you and eliminates any of the digestive issues or aftertaste? If so, comment below. We would love to hear what works for you.